Belfast makes better sense than Belfast? Luton is a City or a Town? Nick West, current Chairman of the Aviation Club of the United Kingdom, has joined Raytheon UK as Communications Director responsible for a broad range of marketing and communications activities. For the last seven years he held a similar position with Boeing UK. 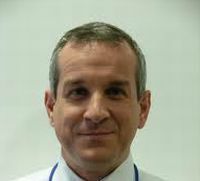 Nick was educated at Wymondham College in Norfolk, and served with the Royal Marines, initially with 40 Commando in Northern Ireland. He trained as a helicopter pilot with the Army Air Corps and then flew Lynx helicopters with the Commando Brigade Air Squadron for four years, including a five-month period as the detachment commander in Belize and saw operations in Kurdistan during the relief operation Safe Haven in 1991. In 1994 after passing the Junior Command Staff Course at Sandhurst, he served as a second in command and Company Commander, as well as Intelligence Officer on the 45 Commando Northern Ireland tour in Fermanagh. 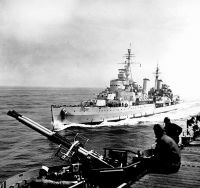 As a Royal Marine Captain he concluded his service time with the Directorate of Naval Staff Duties in the Ministry of Defence. 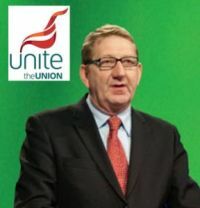 Unite General Secretary Len McCluskey gave a very erudite and informal press briefing last Thursday lunchtime before addressing BA cabin crew at a mass meeting to update them on talks between the union and airline bosses. He praised new BA CEO Keith Williams and refused to be drawn into any discussion regarding Willie Walsh. At this gathering nearly 2,000 members of the trade union’s cabin crew branch, the British Airlines Stewards and Stewardesses Association (BASSA), gave a go-head for a dispute settlement. This still has to be confirmed by postal ballot of the 9,000 members, but this in considered a formality. Emirates has confirmed that Johannesburg will be the next destination slated for its flagship A380 aircraft. 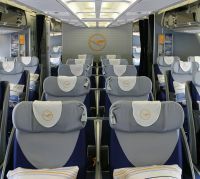 The daily A380 service will start 1 October 2011. 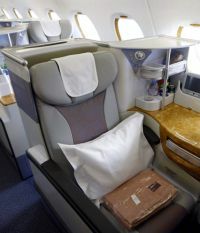 The announcement of Emirates’ first scheduled A380 service to Africa comes as the airline unveiled its full year financial results for 2010-11. These revealed a surge in the number of South African travellers flying with Emirates – with total passenger growth up 12% over the previous financial year. Overall revenue from the South African market also rose sharply, up 34% from 2009-10. Emirates currently operates a three times daily service to Johannesburg, a double-daily service to Cape Town and a daily service to Durban; while the airline’s fleet of 15 A380s operate on services from Dubai to Heathrow (double-daily), Manchester, Paris Charles de Gaulle, Toronto, Seoul, Bangkok, Beijing, Shanghai, Jeddah, New York, Hong Kong, Sydney and Auckland. Turkish budget airline Pegasus has introduced a three times a week connecting flight from Stansted to Tehran's Imam Khomeini International Airport via Istanbul Sabiha Gokcen. Iran's capital Tehran is the 27th international destination to a network of flights across Europe, Russia and the Middle East. The Stansted – Istanbul sector is a daily operation and, just as with the onward routing to Tehran, is flown by a single class Boeing 737-800. Services operate outbound Tuesdays, Thursdays and Sundays. Competition is provided from Heathrow with non-stop flights by both bmi and Iran Air. easyJet is backing Luton in two ways. Britain’s second largest airline, based at the airport of the same name, is much to the forefront of a campaign to rename the whole conurbation as the City of Luton (Luton City International Airport?). At the same time the airline is the shirt sponsor of Luton Town Football Club, where controversy reigns as to whether the club need alter its moniker should the whole place change its designation. 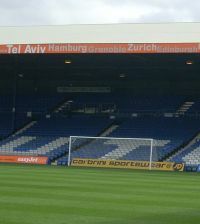 In the meantime the soccer team has more important issues at stake, including promotion to the Football League, many in agreement that next Saturday’s (21 May) match v Wimbledon is the most important in the club’s 125 year history. OAG, the airline database provider, is introducing a new product that will offer the most flexible information solution, delivering notifications about the latest schedule changes as soon as they happen. Called OAG Alerts it will ensure that the information is right up to date. The first Vodafone Union Jack branded Heathrow Express train has gone into service as the mobile phone company opens a campaign that coincides with widespread network improvements across London. 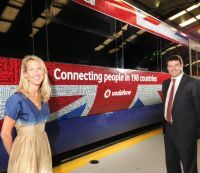 The carriages are wrapped in an iconic Union Jack design, along the length of the train and bear the slogan “Connecting People in 198 Countries” highlighting Vodafone’s global network at home and abroad. The design is made up of 600 place names from all around the world. 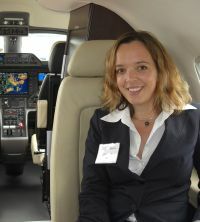 With Europe’s major business aviation show, EBACE, taking place at Geneva this week (17/18/19 May) leading aviation law firm Gates and Partners, has seen a positive start for the business aviation market in 2011. 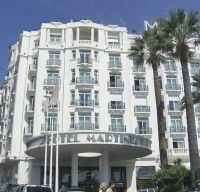 Once the largest hotel on the whole of the French Riviera, and still one of the most prestigious, the Hotel Martinez, has had 30 prestige sea view rooms added. The 405-guestroom property is to the quieter eastern end of the main Cannes Bay facing the beach on the Boulevard de la Croisette. The hotel’s La Palme d’Or restaurant has a Michelin 2-star rating. Whilst designed in the hotel’s Art-Déco style the new rooms’ state-of-the-art equipment has not been forgotten. The spacious white marble bathroom features an elegant black mosaic. 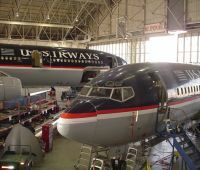 US Airways, not a high profile operator in Europe, has introduced a daily summer service between its major US hub at Charlotte, North Carolina, and Dublin. The two-class Boeing 757 operation complements the airline’s all year round flights from the Irish capital to the airline’s international gateway at Philadelphia. Now essentially the very successful America West Airlines, rebranded, and based at Tempe, Arizona, US Airways is the sixth largest American carrier with a fleet of 341 aircraft including Airbus, Boeing and Embraer 190 series. The airline is a member of the Star Alliance. 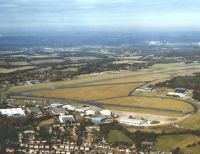 Biggin Hill Airport in Kent, just off the M25, has been chosen as the site for Business Aircraft Europe 2011 on 14-15 September. Organised by specialist show organisers MIU Events Ltd it will expand on the Light Jets Europe and Very Light Jets conferences which have been run successfully by the same company for the past five years. The new event will comprise an expo of 30+ stands, a static display of aircraft, a paid-for conference and a networking party. The event last year was held at Oxford Airport, but without the display stands. 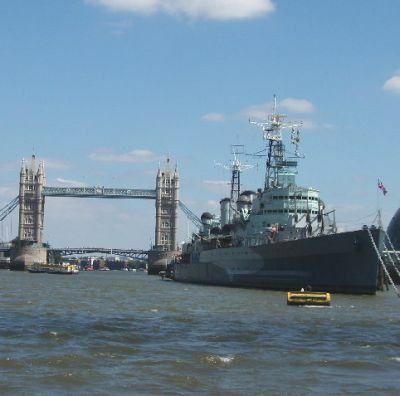 MIU says it will also create a unique showcase for companies looking to target those travelling into London ahead of the 2012 Olympic Games. With excitement beginning to rise in anticipation of next year’s London Olympic Games all the details are beginning to fit together. At Geneva, later this week (Wednesday), Dawn Lindsey, London 2012 Olympic Airspace Planning, Directorate of Airspace Policy, UK Civil Aviation Authority and Phil Dyckins, Head of International Air Services at the UK Department for Transport, will discuss aviation security with special emphasis on next year’s UK events. 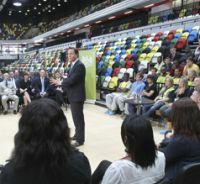 Also as part of the lead-up to London 2012, more than 10,000 volunteers, 8,000 athletes from more than 50 countries and more than 250,000 spectators will be invited to take part in a 12-month rehearsal from May 2011 to May 2012. Organised by LOCOG (London Organising Committee of the Olympic Games), a programme will focus on testing the sporting fields of play; results, timing and scoring systems; how teams work together and how people move around venues. There are different groupings of events: events which LOCOG is organising and ticketing, events run by LOGOG that are not ticketed, and events which are not organised by LOCOG. An aircraft solely powered by the sun made an international flight over the weekend in a publicity stunt to show the potential for pollution-free air travel. The Solar Impulse took off from Payerne in western Switzerland and landed at Brussels after a 13-hour flight. Geneva to Brussels International takes a little over one hour by scheduled jet. "The objective is to demonstrate what we can do with existing technology in terms of renewable energy and energy savings," project co-founder and pilot Andre Borschberg said by telephone during the flight. He believes such solar-harnessing technology can be used to power cars and homes. The Solar Impulse project began in 2003 with a 10-year budget of €90m and has involved engineers from Swiss lift maker Schindler and research aid from Belgian chemicals group Solvay. Korean Air is the latest carrier to ready itself for the introduction of the Airbus A380 into its fleet. The flight and ground tests are being carried out from the Airbus facility in Hamburg, where the aircraft has undergone painting and full cabin furnishing before flying to Toulouse for the delivery ceremony. Korean Air will become the sixth operator of the A380 when it begins flying the aircraft in June. 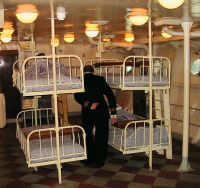 During the checks all cabin systems will be thoroughly tested, including air flow and air conditioning, lighting, galleys, washrooms, seats and in-flight entertainment. Special on-board passenger amenities include the world's first onboard Duty Free Showcase. Korean Air’s A380s will have a total of only 407 seats: 12 ultra luxurious First Class suites and 301 Economy Class seats on the lower deck with the whole of the upper deck devoted to the business traveller with 94 spacious ‘Prestige’ class seats. easyJet has made a return to Belfast International Airport from Luton. The airline transferred the service to George Best Belfast City Airport in January last year, but says it makes commercial sense to come back to Belfast International. 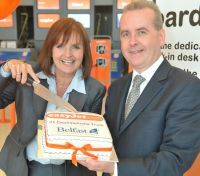 Ali Gayward, easyJet Commercial Manager, said: "Moving to Belfast City was always a trial, but in over a year we saw no tangible benefits. "Our 20 other routes operate from Belfast International and we are now consolidating our overall operation by reinstating our Luton flights from there as well. 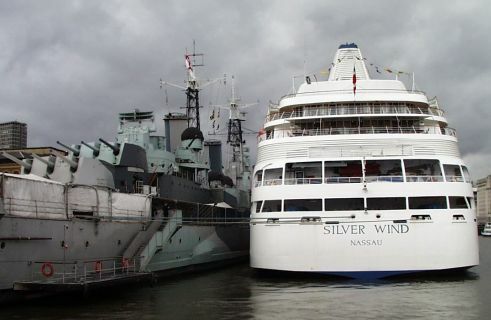 "Luton is a popular route for both business and leisure travellers, and dovetails well with our other London area services from Belfast International to Stansted and Gatwick. We now operate up to 140 return flights to London every week which has been welcomed by the business community." HiAir, a Lincoln-based corporate travel operation, is to test a Doncaster (DSA) to Amsterdam (AMS) scheduled service later this year. Monday 5 September has been confirmed for the maiden flight. The airline aims to deliver a business class service with an economy price tag for customers utilising a fully pressurised BAe Jetstream 32 – 19-seat aircraft – creating what it calls “a personal approach to flying”. HiAir says it is keen to trial the route in a bid to attract business people and holidaymakers alike, who wish to fly locally and buy into their one class, one price and one standard philosophy. Mike Morton, Doncaster Sheffield Airport Director, said: "This is a great opportunity for the region to get behind a local company who are committed to offering travellers a high quality service to a key European airport. We know from past experience that Amsterdam is a destination that businesses in particular are keen to see served from this airport and we hope that interest from passengers will see this service come to fruition later in the year. 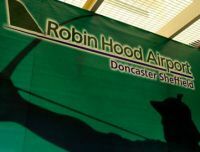 “HiAir offer something different for passengers and we will work closely with them over the coming weeks to help promote the benefits of their service and the convenience of flying from Robin Hood Airport." Propellers may have been all the rage at East Midlands Airport (EMA) years ago, but attached to aircraft. They have now made a, sort of, comeback but this time firmly fixed to the ground, and installed as wind turbines. 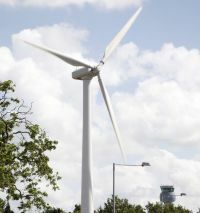 EMA is the first UK airport to install turbines of this magnitude. After making a commitment in December 2006 to make ground operations carbon neutral by 2012, the airport sought to implement this innovative project, never yet achieved by a British airport, to generate energy from wind power. After a comprehensive process and working in partnership with experienced specialists, the airport successfully managed to produce a comprehensive and robust safety case that has allowed commercial scale wind turbines to be installed on an airport site. For this coming winter’s programme Lufthansa is launching a new service from Munich to Jeddah via Riyadh. 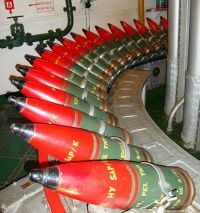 The route will be flown by an Airbus A340. Riyadh, the capital and largest city in Saudi Arabia, is currently served with a Boeing 737-800 operated on behalf of Lufthansa by the Swiss business jet operator PrivatAir. In the winter timetable, Riyadh and Jeddah will be served thrice weekly from Munich, supplementing the daily flights already operated from Frankfurt. Three more diverse routes it is difficult to imagine, but Qatar Airways announced simultaneously last week services from its Doha hub to Baku (Azerbaijan), Tbilisi (Georgia) and Entebbe (Uganda). The three new routes will be operated with Airbus A320 aircraft in a two-class configuration of 12 seats in Business Class and 132 in Economy. Daily non-stop scheduled flights to Uganda’s second largest city of Entebbe are due to begin on 2 November, marking the carrier’s first new route to the African continent since early 2007. 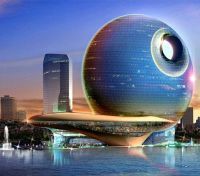 Four weeks later, effective 30 November, the airline expands into Central Asia introducing daily non-stop flights to Baku, which continue onto Tbilisi, the capital cities of Azerbaijan and Georgia respectively. 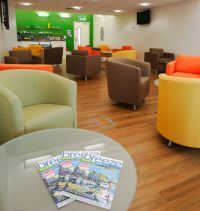 A brand new executive facility, called the ‘Breeze Priority Lounge’, has opened at Southampton Airport. 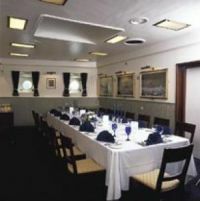 Located on the terminal’s first floor it is available to all departing passengers aged over 18, at a cost of just £17.50 per person and can hold up to 30 people at a time. Passengers who pre-book access can use the facilities for up to three hours before their flight. The price includes; priority security access, comfortable seating, laptop and mobile phone charge points, complementary wi-fi, flight information screens, as well as a selection of high quality locally produced snacks and drinks. Refreshments include hand-made biscuits, natural mineral water and top quality local wines all sourced from Hampshire-based award-winning companies Little Rose Bakery, Hildon Water and Wickham Vineyards.